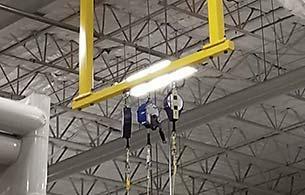 Anchor points can be used to create a fall restraint or a fall arrest system to keep your employees safe at any height. 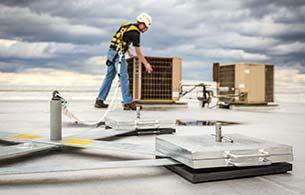 Utilizing anchor points in conjunction with a harness and lanyard provides 100% tie-off for your employees. Our qualified engineers will analyze the supporting structures and design a single point anchor specifically for your needs. 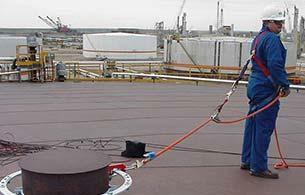 Sesco Safety Tie Back Anchors are OSHA and IWCA compliant roof anchors typically used for window washing and façade access. 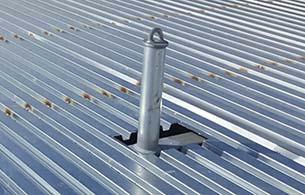 The freestanding roof anchor consists of stackable weights configured to use the frictional resistance of the roof to provide secure anchorage for fall protection.